I have taken a break from blogging for the last few weeks. October's 31 day challenge was tough!! I decide I would start another series of sorts. 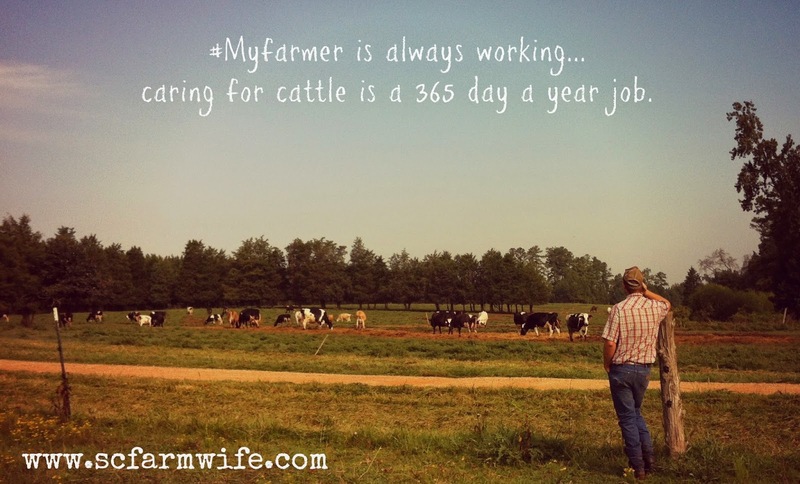 Every few days I will post a graphic that shares a little insight on our farm and my farmer. Hope you enjoy! With Thanksgiving tomorrow this is the perfect picture. We don't get holidays and vacations from the farm. The Farmer has to care for our livestock each and everyday of the year. So while you are prepping and enjoying your holiday meal with family and friends be sure to take a moment and thank the farm families who worked hard day in and day out to put that meal on your table. By the way...they are working Thanksgiving too!